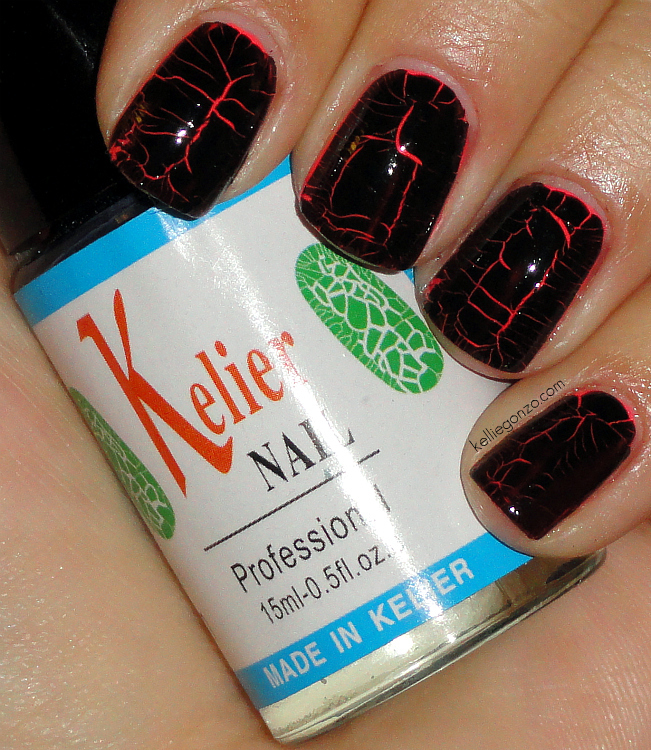 Born Pretty webstore currently carries Kelier crackle polish in a variety of colors. These special effects polishes have become a growing trend, especially now that bigger brands like OPI and China Glaze have/are coming out with shatter and crackle polishes. This is a more spidered crack effect rather than straight cracks, so it gives a different look. It also takes a little longer to crack. I had some curling up at the edges of the nail which was weird, so some of the black flaked off before it was done cracking. 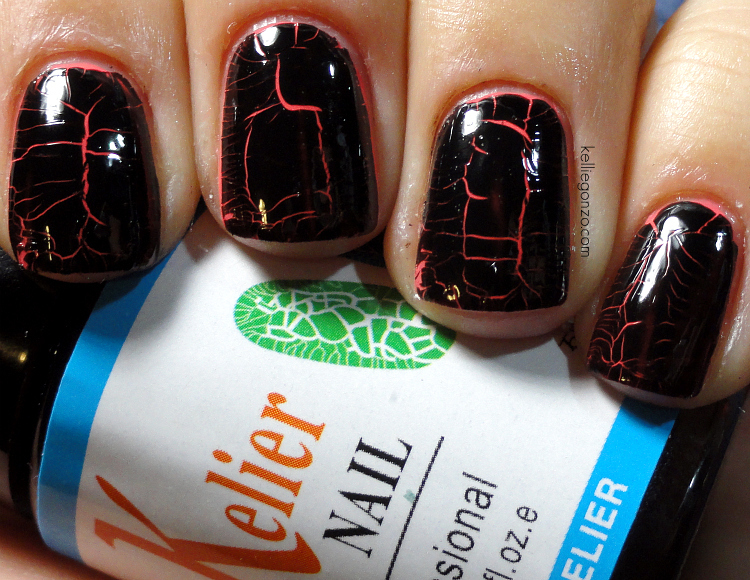 I used the black Kelier crackle polish over China Glaze's Flip Flop Fantasy polish. Just so you know, I don't recommend this polish at all.